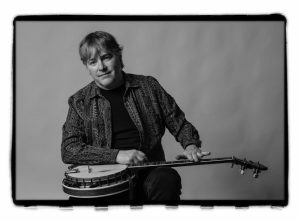 Béla Fleck, a 16-time Grammy Award winner and world-renowned banjo player, will be recognized with an honorary degree at the University of Indianapolis Commencement on May 5, 2018. Fleck will perform a selection from his extensive repertoire during the Commencement ceremony. 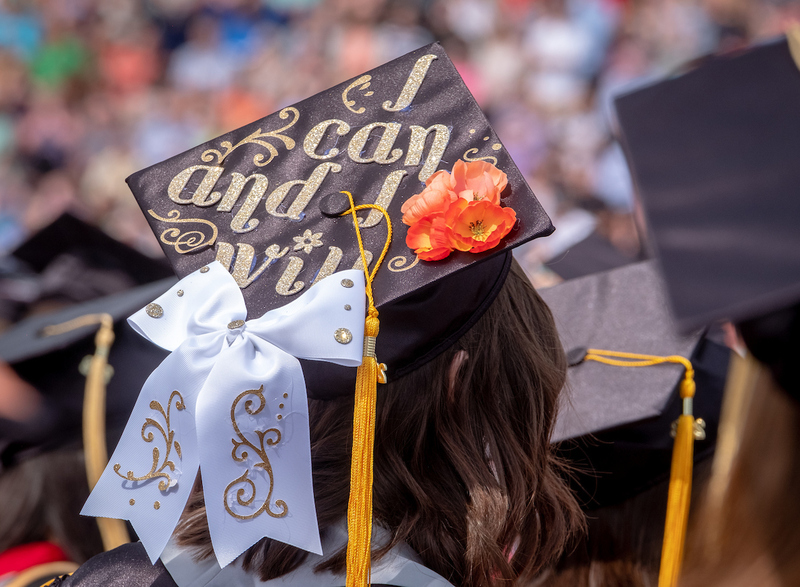 Watch a live stream of the Commencement ceremony at 11 a.m., May 5, 2018 on uindy.edu. Taking the road less traveled comes naturally to Fleck. He has made his name innovating musical styles for the banjo, often defying categorization as he expertly blends various traditions to create his own unique sound. He said this approach to music allows him a certain artistic freedom. “It’s kind of like being able to speak several languages. Everything you learn informs everything you know,” Fleck said. Fleck became interested in the banjo while watching The Beverly Hillbillies as a boy, and later pursued lessons on his own when he realized his school, New York City’s High School of Music and Art, didn’t offer a banjo elective. He started performing in his first bands as a teenager. New York’s musical melting pot formed a crucible for Fleck to develop his style of borrowing from different genres. After seeing musicians such as Chick Corea and Stanley Clarke perform, he was inspired to experiment with rock and jazz on the banjo. A series of impressive projects soon followed, with Fleck eventually joining New Grass Revival, a progressive bluegrass band, and later forming Béla Fleck and the Flecktones, along with numerous solo projects. “Through his unique perspective of transcending musical genres, Bela Fleck’s work connects cultures and enhances communities in a profound way. As an honorary degree recipient, Bela reflects the University’s mission and deep tradition as a community-first institution that welcomes diverse thought and influences to advance its vision through arts and sciences,” said President Robert L. Manuel. Fleck said the musical community has continued to mentor and support his work, and he gives back in return. “I am proud to have friends who also serve as teachers and sources of inspiration who are on top of the worlds of bluegrass, jazz and world music. I attempt to do the same for the folks I meet, and I look forward to doing more,” Fleck said. Fleck and his wife and musical partner, Abigail Washburn, donate the proceeds of their merchandise to local nonprofits as they tour throughout the world. “This outreach engages us with all the communities we perform in and allows us to give something concrete back,” Fleck explained. “I have experienced being considered the best at what I do, and I have worked hard for it. The easiest way to be the best is to find an area that is not glutted with people doing the same thing. Look for an area that you love but one that is not overrun, and find a way to make your contribution,” he said. Fleck said he was thrilled to learn of the honorary degree from the University of Indianapolis. “And my Mom is even happier – she wanted me to go to college!” he said.